Caption: White blood cells. 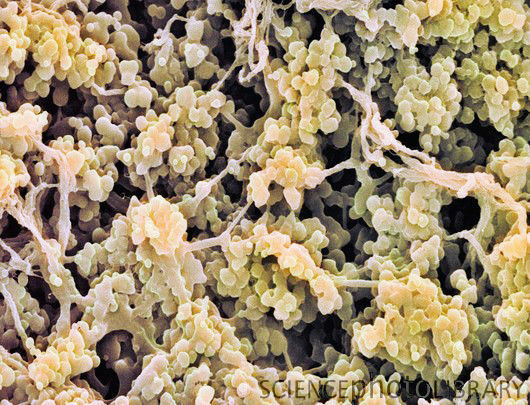 Colour scanning electron micrograph (SEM) of T-lymphocyte white blood cells or T-cells in the cortex of the thymus gland. T- cells are involved in tracking down and destroying invading organisms, such as viruses and bacteria. They are produced in the bone marrow but complete their development in the thymus. The thymus is situated at the base of the neck. Magnification: x1250 at 6x7cm size.